Bangladesh has drawn export orders of Tk 2 billion in the Dhaka International Trade Fair (DITF) this year. Commerce Minister Tipu Munshi revealed the information at the closing ceremony of the month-long expo on Saturday (Feb 9), reports BSS. Last year, Bangladeshi businesses received orders of Tk 1.62 billion. “Our exports still now depends heavily on the RMG sector, but there are more promising and potential export sectors in the country. We’ll have to give our attention there,” Minister Munshi told the closing ceremony. 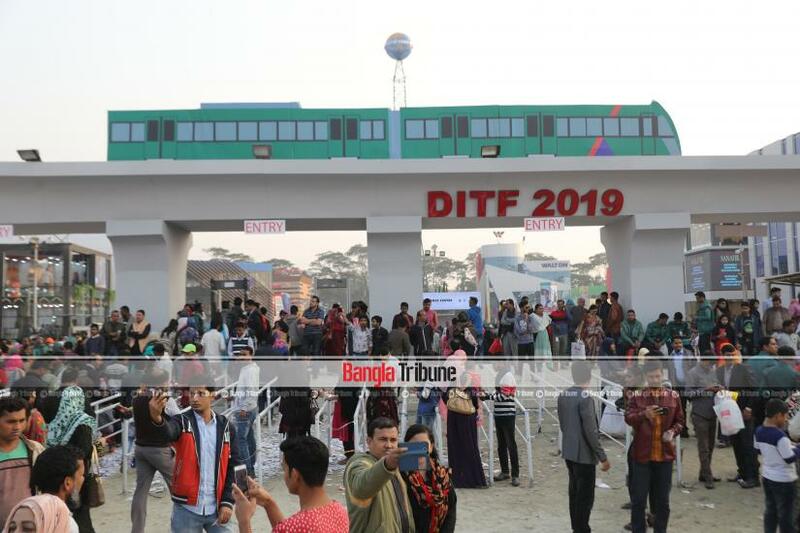 The Hasina administration has been working tirelessly to boost the export trade to earn more foreign currency, Tipu said before adding that DITF mainly witnesses huge buying and selling of various products. “But, still it has been able to fetch over Tk 2 billion in export orders. If there is a separate export fair in place, then it would be possible to get more export orders,” he added. Senior ruling party leader and lawmaker Tofail Ahmed, who heads the Parliamentary Standing Committee for Commerce Ministry, attended the event as the special guest. “Bangladesh is now moving ahead speedily and it is now well ahead of Pakistan in all fields, even ahead of India in some fields. We’ll have to work together for ensuring the economic emancipation of the country,” he said.